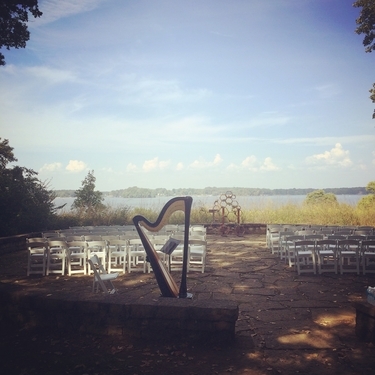 Devon Carpenter, harpist, is a professional Northwest Arkansas harp player providing music for events in Van Buren, AR, throughout the Ozarks, and the surrounding areas. The elegant music of the harp is the perfect addition to your wedding ceremony, reception, or party. Also available as a harpist for weddings and events in the neighboring areas of Franklin County, Madison County, Sebastian County (Fort Smith & Greenwood), & Washington County (Fayetteville), Arkansas, and Adair County, Le Flore County, & Sequoyah County, Oklahoma.